Some things just need time. After years of steady climbing up the ladder of success, British alternative rockers ELBOW finally managed to become a steady institution when it comes to epic and high quality symphonic stadium anthems; especially in their home country. Lead singer GUY GARVEY had a big part in that success. The charismatic frontman with the distinctive and tender voice always works as the emotional guidance in those ambitious songs, acting like a soulful lighthouse to the lost listener. GARVEY never aimed to be the perfect frontman as there has always been something quirky about him. He’s not Chris Martin; he’s just a bloke you’ll likely meet at your local pup at 2pm in the morning, debating on the ups and downs of life. With his solo debut Courting The Squall, the ELBOW singer finally dedicated that person a full-length record, after hinting it with his band for years. Courting The Squall lets the odd man break out. 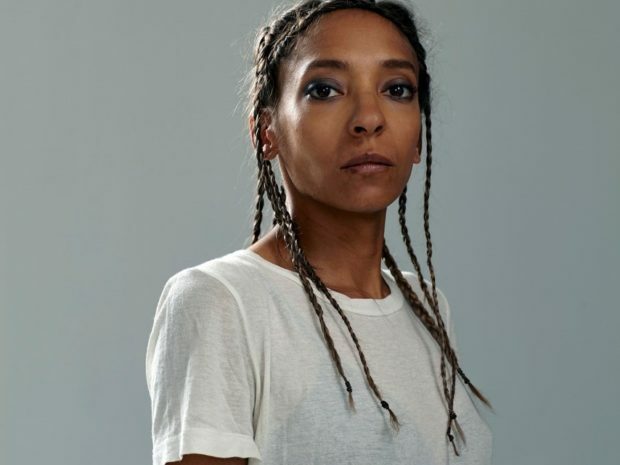 The 41-year old Mancunian delivers a gentle record that aims exactly for that dark scenery we were all assuming anyway. The title-track, for example, sees GARVEY singing over a tender melody while he his supported by a gentle harp. Tracks like Unwind or the truly beautiful Juggernaut continue that path. The second one unfolds itself like a nightly waltz over an empty street in Manchester, while we are slowly taking away by its floating character. Courting The Squall represents the tenderer and intimate aspects in the musical microcosm of the singer, something that has always been present in the music of ELBOW. 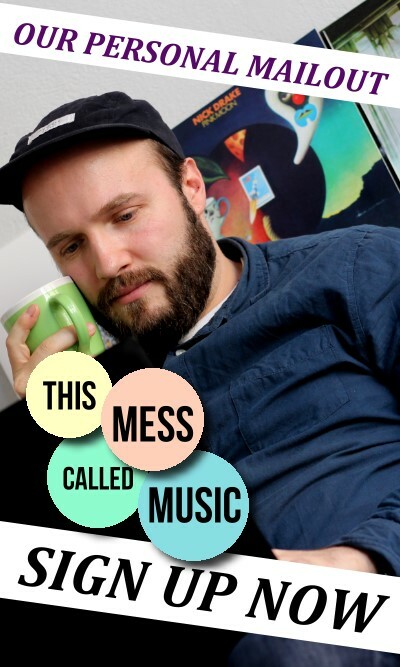 Still, in his gentle weirdness, the album echoes the earlier work of his band a bit more. ‘All my darkest dreams come swimming into focus’ sings the Brit riding over a sweet piano melody in Yesterday that could also be taken from Asleep In The Back, the 2001 debut of his band. 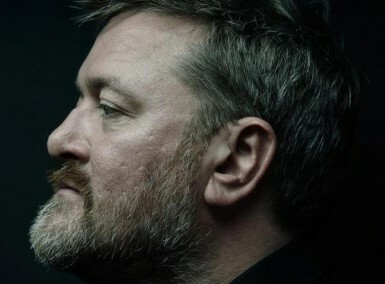 Still, the debut album by GUY GARVEY allows him a few musical adventures that wouldn’t work in the ELBOW setting. The joyful brass section in Harder Edges maybe or the pumping dirty blues of the lead single Angela’s Eyes. Electricity, a duet with American folk singer Jolie Holland, is a dark jazz-infected ballad and far away from the usual territory of the artist. Yes, we can totally see him as the slightly drunken singer in a run-down piano bar. And that’s a compliment. Maybe Broken Bottles with its gospel choir is the closest attempt to a familiar ELBOW anthem although it’s still light years away from One Day Like This. On Courting The Squall GUY GARVEY does what the best for him anyway: He gives his voice the space to explore all sorts of different territories while still remaining the constant in all this haze. The closing track in the form of the tender lullaby Three Bells underlines that strength. This is how a solo debut should be: familiar but also new and exciting. With such a likely protagonist it couldn’t look any easier. 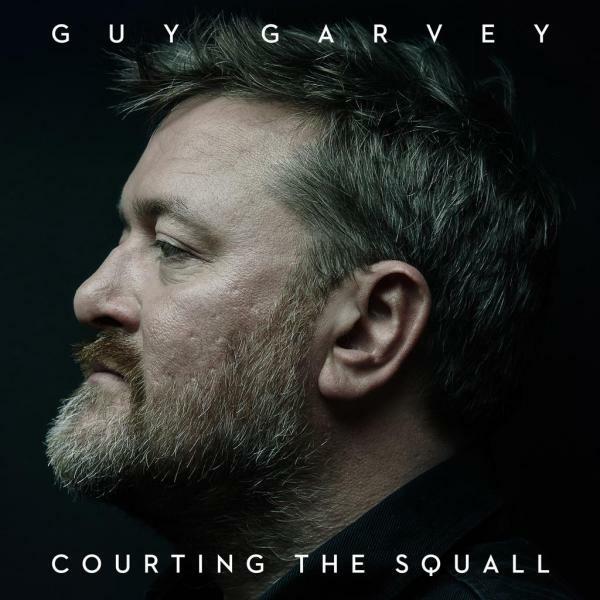 Courting The Squall allows GUY GARVEY to explore music territory that is a bit more off and edgy while still sticking close to his well-known qualities.